Beijing is a developed city of China, a country renowned for its outstanding economic growth. Such a lovely place on earth, Beijing is known for its dazzling culture and history. With over 10 million of overseas visitors every year, Beijing is a preferred tourist destination and China’s cultural, political and educational center. Here are some of the well-known attractions in Beijing that captivate tourists from all over the globe. 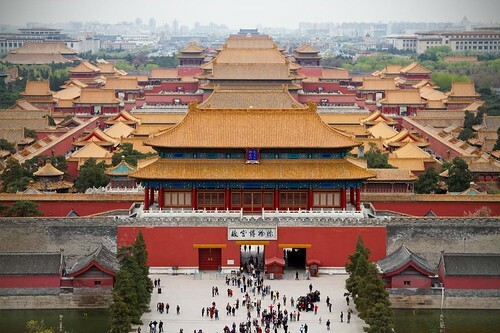 To discover the mysterious features of Beijing, the Forbidden City is the greatest place to begin with. Regardless of whether you’re a history fanatic, you find architecture fascinating, or simply enjoy appreciating the beauty of China, a travel to this giant palace complex is a must. This place features over 9,000 rooms and 250 acres and stocks numerous architectural wonders. It was the Emperors’ palace for over 500 years from the Ming Dynasty and currently houses the Imperial Museum. The city is located right in the center of Beijing. Carry a guide with you to find out the historical meaning and the different parts of this magnificent city, which was originally constructed in 1406, later ruined and renovated. Get to see the legendary Palace Museum and many famous parks in the Forbidden City. It is the extremely attractive antiques found in the museum that are truly worth seeing. The Great Wall of China is one of the highly praised wonders in the world and needless to say, one of the most significant tourist destinations in Beijing. It stretches for approximately 8,850 km from Lop Nur in the west to Shanhaiguan in the east. You can access it as a day trip from Beijing and get to learn a great deal about this enormous beauty. 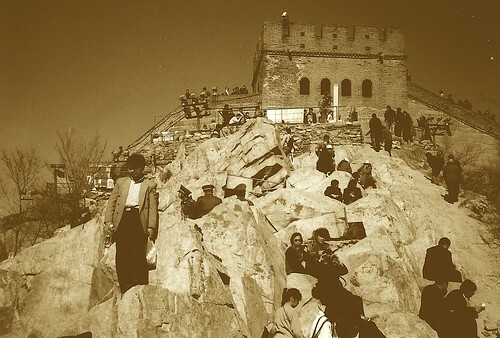 Mutianyu, Badaling and Simatai are also convenient places to climb and see the Great Wall, which was originally built to keep out the invading Mongol forces. This palace holds the status of World Heritage place and it is renowned for its ancient architecture. It is one of the major and well preserved imperial gardens in the world. Attractions of the Summer Palace include Kunming Lake area, Longevity Hill area and long corridor. These are only a few and there are a lot more tourist highlights like Beijing hutongs, the Temple of Heaven, Beijing Shichahai, Beijing Siheyuan, etc. Thus, if you’re making arrangements for a Beijing tour, be sure to visit these places. The national Museum of China is another charming place to visit in Beijing. Founded in 1926 this museum has an assortment of about 300,000 historical artifacts of which around 5,500 are usually on display at any one time. These displays comprise bronze ware, painted pottery and ceramics. Situated in the same region as the Museum of China, is the Museum of the Chinese Revolution that concentrates on the history of the communalist party in China. Another site of grand interest is the Sun Yatsen Park, which was originally a temple site and was named after a chief of the 1911 revolution, Sun Yatsen. This park comprises several cypress trees and a fabulous marble arch. There are numerous superstores, mega-malls and marketplaces in Beijing to buy anything you need. You can purchase traditional handicrafts, Ivory carvings, Lacquer, Cloisonne and Jade. The majority of the tourists are fond of artificial flowers, silk, curios, pearls. Qianmen Street is also a commercial shopping center in Beijing. Beijing has a lot of attractions for tourists wishing to explore this magical, magnificent and mysterious city. It is a great place to sample top quality food and to experience culture. The local people provide a warm reception to all kinds of visitors. There are many different accommodation options in Beijing, like hotels, luxurious Beijing apartments and guest houses. You can easily find accommodation you are looking for online.